Turkey’s last-minute effort to head off a looming offensive from the Syrian, Russian and Iranian governments in Idlib Province has fallen short, leaving open only the question of when and how the offensive will occur. Given Syrian President Assad’s pledge to recapture every inch of Syrian territory, neither Western pleas for restraint nor for a potential campaign targeting only extremist fighters is likely to avert the assault. Why it matters: Idlib is the last remaining de-escalation zone from 2017’s Russian-led Astana peace process, and is home to more 3 million civilians. It is also home to thousands of the most extreme, battle-hardened al-Qaeda and Islamic State fighters, who now have nowhere in Syria left to go. Difficult terrain and the regime’s history of using chemical weapons in the region only compound the challenges. 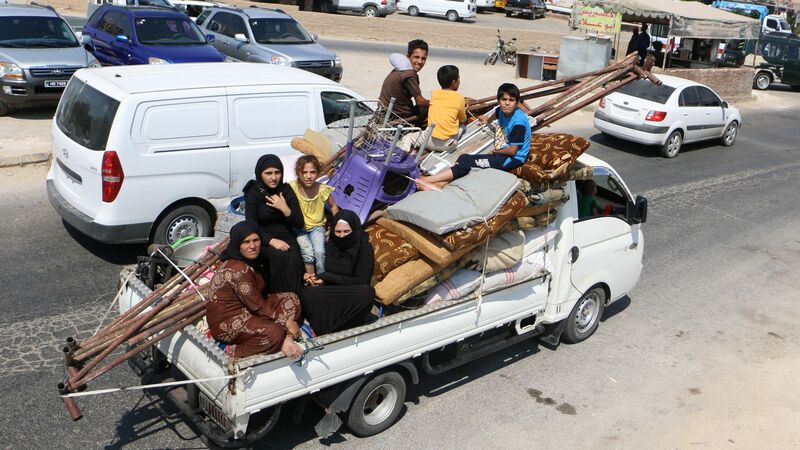 The U.N. warns that a major military clash could force nearly a million Syrians to flee north toward the Turkish border; as many as 30,000 have already been reported displaced from Idlib in recent days. The details: Even before last week’s diplomatic talks concluded, Russian and Syrian jets had begun hammering targets in southwestern Idlib, reportedly dropping cluster munitions and more than a dozen barrel bombs. The Syrian army has also been amassing troops near the province, while Russia has been building up its naval forces off the Syrian coast. Last week, the navy conducted its largest exercise there since entering the conflict in 2015, signaling Moscow’s determination to support the offensive and warning the U.S. to steer clear. What’s next: If Assad follows his typical playbook, the regime’s forces and allies will pound the province from the air and with artillery fire, targeting critical infrastructure like hospitals, power generation facilities and the water supply. The aim will be to break the opposition’s will to fight and undermine local support for the extremists. The regime will then try to seize the region’s two main highways to split opposition forces and disrupt their supply lines. If the offensive devolves into street-by-street fighting, the chances increase that regime forces will use chemical munitions. The bottom line: The Syrian war is poised to enter an ominous stage, one that risks a spike in fighting, a humanitarian crisis and an accidental clash between major powers. Even coming after seven years of conflict, this fight won’t mark the end of the war: Difficult questions linger about the Kurds, control of eastern Syria, Iran’s long-term presence, and the country’s enormous reconstruction costs.